1. What is the Cashback scheme? Shop at our Duty Free Shop and you could get up to 10% back! Periodically we run our Cash Back promotion, which gives all of our customers the chance to get 10% of the value of their shopping back through our virtual wallet scheme. When an order is placed, 10% of the value of that order is saved to your virtual wallet and will be deducted from the next order placed, to a maximum of 30% of the value of the new order. The funds added to the wallet will remain frozen until the original order updates to charged and shipped status. Keep your eyes peeled for when this offer is available and hurry and place your order as the cash back promotion is only available for a limited period each time! 2. Why do emails sent to me not arrive? Dear users of AOL.com, comcast.net, sbcglobal.com, cox.net, and any roadrunner e-mails! For more help you may contact your email provider customer support. 3. What is an E-Check? 4. What are my Payment options? We currently only accept E-Checks for all orders placed on cheap-smokes.biz. 5. What are shipping times? All of our cigarettes are sent through international airmail. Insured economy shipping takes 14 to 28 working days, from date of shipment. Shipment time starts from the date your order is shipped. Orders are shipped once your payment is fully funded, which takes 5 to 7 working days. Please remember to include your full shipping address when filling out your order form, to ensure you receive your cigarettes as fast as possible and to avoid any delays with shipment. Please allow the full shipping time before you contact us to notify us of any delay in delivery. 6. What are the shipping costs? Insured economy airmail is $4.50 per carton. At the moment we offer Express shipping on all orders for the price of the regular shipping. You pay the same, but get your cigarettes faster! 7. Is it safe to send you my E-Check details? 8. Can I pay by postal? No. You can only pay by automatic e-check. 9. Can I place an order by phone? 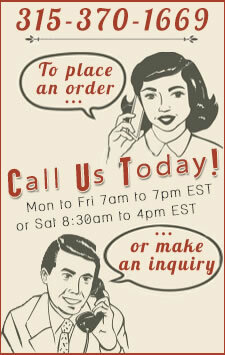 Yes, to place an order by phone, please call us on: 1-315-370-1669. 10. Are the cigarettes sold at cheap-smokes first choice? All cigarettes sold at cheap-smokes.biz are first choice cigarettes, that are manufactured in Europe, under the strictest regulations, by all of the original manufacturers, within the EU or USA. 11. What is your delivery process after placing an order? Once an order is placed with us, it takes up to 7 days to process, after it has been processed, we then send the data to the warehouse. Once the warehouse receives the information it requires to ship your order, it then packs the orders in batches. Once a batch is fully packed, it is then sent to our logistics centre and then sent through economy registered airmail. Orders shipped via economy airmail take between 10 and 21 business days to arrive. 12. What if I have ordered and still have not received the goods? If you ordered your cigarettes to be sent via economy airmail, please allow up to a maximum of 35 business days for them to arrive, if they have not arrived in this time, please feel free to contact us either via e-mail or call us on 1-315-370-1669, and we will arrange for compensation on your order. 13. What if I ordered six cartons and received only three? We dispatch the cartons through Economy Air Mail. In case of multiple cartons we pack them as separate shipments. Generally, cartons are sent individually. We mail the cartons at the same time but their arrival dates may vary. It may take from two to three days for the full delivery to be executed. 14. Do you send the ordered pack by courier services (e.g. DHL)? No. We are working with the Priority Air Mail only, and our service is fast and reliable. 15. 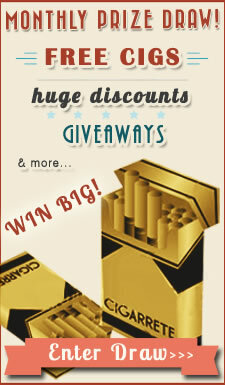 Do you sell cigarette brands other than those on your website? 16. Can I resell cigarettes offered by you? 17. Why are the prices of your cigarettes so competitive? 19. Can I buy cigarettes by international mail? 20. Can cigarettes by mail be sold without import stamps? 21. What is a "bonded warehouse"? Bonded warehouses are warehouses that are authorized by customs authorities within a country, where stock that is stored, is exempt from paying duty taxes until the items are removed. In the Case of cheap-smokes.biz, when the products are removed from the warehouse they are shipped out of the country of origin, and therefore are exempt of tax from the country of origin. 22. Can BONDED WAREHOUSE consider a form of DUTY-FREE sales? 23. Do BONDED WAREHOUSE products have more competitive prices? Yes, due to the fact that non of the products in the warehouse are subject to duty taxes, the prices are unquestionably more competitive. Taking advantage of these prices is a little more complicated, however here at cheap-smokes.biz, we ship every carton individually, therefore making any packages that a customer receives from us is exempt from duty tax. 24. Are imported cigarettes always subject to duty taxes? 25. Are imported cigarettes subjected to duty taxes in the USA?